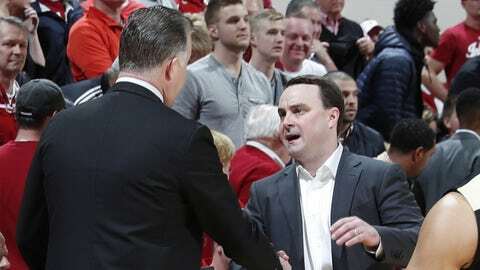 Indiana coach Archie Miller (right) and Purdue coach Matt Painter (left) relied exclusively on in-state talent for their new recruiting classes. BLOOMINGTON, Ind. — Indiana coach Archie Miller and Purdue coach Matt Painter relied exclusively on in-state talent for their new recruiting classes. But coach Sharon Versyp went outside the Indiana state lines to fill out the Boilermakers‘ recruiting class. She signed Bria Harmon, a star from Georgia, and Rickie Woltman, a 6-3 post player from St. Louis who is considered the highest-rated player to sign with Versyp’s team.